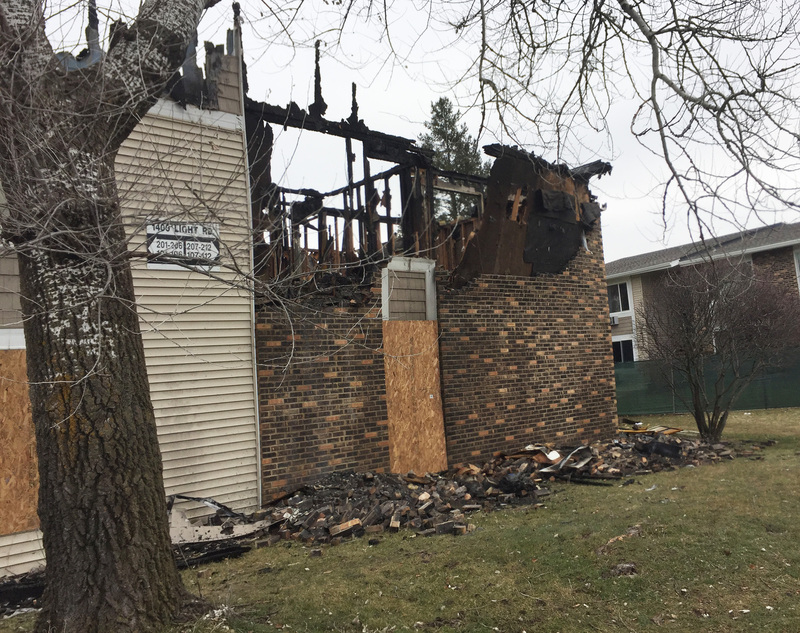 The Kendall County Health Department is collaborating with community organizations and efforts in helping 24 Oswego families displaced by a Dec. 18 fire. At 2:05 a.m. on Dec. 18, the Oswego Fire Protection District responded to a structure fire in the 1400 block of Light Road. The fire was on the second floor of a two-story, multi-family apartment complex in the unincorporated Kendall County area of the district. Fire was reported going through the roof shortly upon arrival of the first responding fire companies. One person was transported to the hospital for a minor lower leg burn injury shortly after the fire was deemed under control approximately 30 minutes after dispatch. Red Cross on the scene by 4:30 a.m. to assist families. In addition to the on-scene assistance of the Red Cross, the following mutual-aid fire and ambulance companies were also on the scene to assist: Bristol-Kendall, Sugar Grove, Aurora, Aurora Township, Montgomery and Countryside, North Aurora, and Plainfield with others also helping with “change of quarters” fire and ambulance companies. Community members are coming to together to aid victims of the fire. The Kendall County Health Department is collaborating with community partners to help with recovery during this time. “The top priority is to ensure that everyone affected by this fire becomes stabilized with a place to live and recovers as soon as possible. During this tragedy, community members are reaching out to provide much needed assistance to the victims of this fire,” the health department stated in a release. Below are some regional housing resources and donation options that community partners are offering to aid in the recovery process. Attached you will find a listing of more reasonable housing options that may host accommodations for displaced families. If community members also have private housing options with rent that is reasonable, call the Health Department at 630-553-9100. The Caring Hands Thrift Shop, located at 1002 S. Bridge St. in Yorkville is currently accepting new Christmas gifts and gently used furniture. Items can be dropped off Monday-Friday 9 a.m. to 5 p.m. and Saturday 9 a.m. to 3 p.m. For furniture donations, call 630-553-1847. Cash donations are currently being accepted for the victims of the Oswego fire. Cash donations can be made payable to the 3:11 Project via check, cash or through Pay Pal: the311project@the311project.com If you would like to schedule a drop off time, please email Amy Lawler at the311project@the 311project.com. Visit the 3:11 Facebook page for more information at www.facebook/the311project.